Hi again Peter here some other photos of the of the jar. The pictures were sufficient. I cannot tell you more; this is a well-known, common type of item. It might take a hands-on inspection with magnifier to make sure if the color decoration was added later or not. 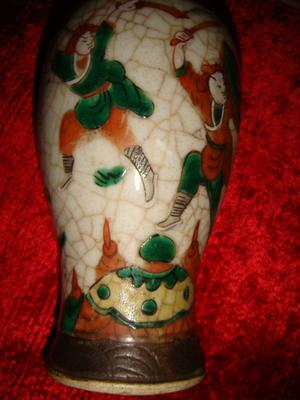 Comments for Unknown Jar is this a Japanese or Chinese? 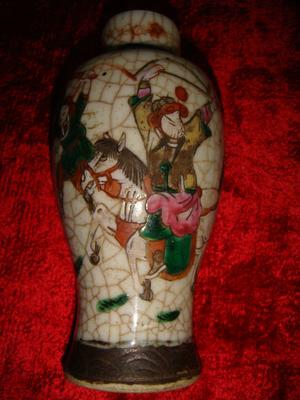 This is a Fangge vase. 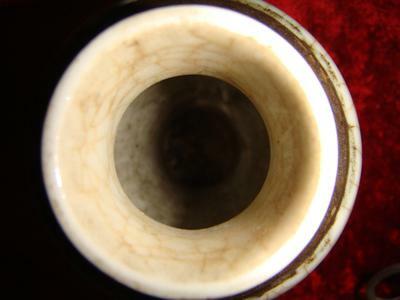 Late Qing dynasty. The color decoration could be contemporary or later added. Such items may or may not have a mark. 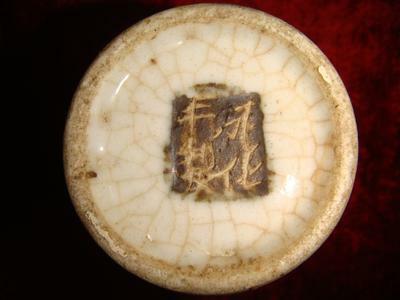 Usually it is an apocryphal Chenghua mark.